By now you probably already know that I love quilts. I have been quilting for more than half my life and enjoy every tiny stitch. You can imagine my happiness to find the Cobble Court Quilt book series by Marie Bostwick. She is a gifted author who brings her colorful characters to life. Marie successfully captures the true beauty of unlikely friendships old and new and weaves them together with an improbable quilting thread. You will cheer for the characters as they relive old memories, make new ones, and realize it is sometimes necessary to start over—one stitch at a time. Throughout the book series, the experienced quilters teach newcomers to the craft, and everyone learns and laughs together. Young, old, and all ages in between, the quilting community is strong, and the relationships that are formed live long after the quilt is finished. 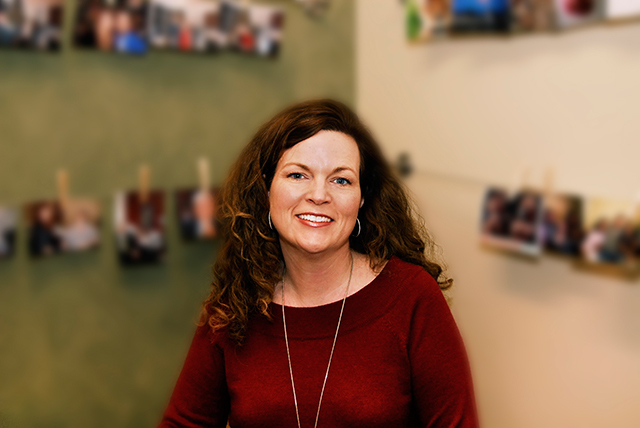 It was a conversation with a stranger back in 1994 that pointed Marie toward her true calling. Then the mother of three active young sons, Marie went on a much-needed vacation to a resort with some girlfriends. While there, she decided to attend a writer’s workshop, “not from any desire to become a writer,” she says, “but as a way to avoid playing tennis with my friends. I’m hopelessly unathletic.” At the end of the week the instructor approached her, and thinking she was a professional writer, asked what she’d published. Today Marie lives in Connecticut with Brad, her husband of 31 years. When not writing or volunteering for her church, she enjoys quilting, watching movies, sipping tea on the front porch with her friends, spending time with her family, and playing with her grandsons. 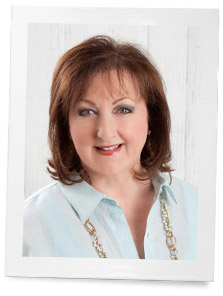 Marie travels extensively, speaking at libraries, bookstores, quilt guilds, and quilt shows. Who are some of your favorite authors? I’d love to try and interview them! Phyllis, have you heard of Elizabeth Berg? A wonderful writer!! Quilts too, and wrote one of her many books about quilting. She is a former nurse and I find her books healing! 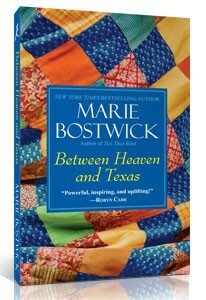 I can’t wait to read Marie Bostwick’s work. Filling my retirement with the writing always wanted to do, I can certainly appreciate her journey. I love Sophie Hudson, Susan Wittig Albert, and Carolyn Haines to name a few of my favorite authors. I have read every single one of Marie Bostwick’s books. The Cobbled Court Quilt series is excellent; but so are her other books. I also like Laura Child’s Tea Shoppe Mysteries, Alexandra Stoddard, Jan Karon, Rhys Bowen-I have read every single book she has written. She has 3 wonderful series out. As much as I thoroughly enjoy and eagerly read all these women’s books: I would have to say my all time favorite author is Louisa May Alcott. I grew up in the town next to hers , Lexington, Mass. and went to school in Concord, Mass. I spent many hours in Orchard House, her home. I miss New England very much. So much history, many famous authors and beautiful countryside. I love love Marie Bostwick!! I ha e read all the Cobble Court books and always look forward to the next one! I have her new book downloaded on my iPad! Thank you for letting us know about Marie Bostwick. Of course, Jan Karon still remains my all time favorite contemporary author but I have really enjoyed another series of books also quilt themed by Jennifer Chiaverini. I think you would like them very much Phyllis. I, like several of your above fans/readers, have enjoyed Laura Childs. I am a big fan of Jan Karon and along the Jan Karon line I am also a HUGE fan of Patrick Taylor who writes the Irish Country Doctor series. In a way it is like Jan Karon meets Ireland. Wouldn’t you love to travel to Ireland to do an interview? What a spread that could be in Victoria! I’m getting goose bumps just thinking about it. If you go, take me with you, please. ha ha ha! If you enjoy mysteries, I recommend two authors, Charles Finch and Ellery Adams, both of whom write good books. Charles Finch writes the “Charles Lennox Series” and Ellery Adams writes the “Bay series”. On a warm summer day, I see a trip to the library followed by an afternoon spent gently swinging on the porch as you sip a glass of lemonade, and delve into a book that whisks you away to far away places. Thanks for the new series ideas! I love Laura Childs’ Tea Shop mysteries, and Jan Karon are my two all time favorites! Susan Wittig Albert stories with her China Bayles character are page turners. She is also the founder of The Story Circle, an organization supporting women writers and their stories. I love Laura Childs and her Tea Shop Mysteries I particular. Diane Mott Davidson,Helen Whittig and the late Elizabeth Petterson with her Amelia Peabody Mysteries. Phyllis — Thanks for sharing this post. This is a great gift idea for my Mother. The only thing she loves more than reading is quilting (which she does just about every day). Greetings from chilly with a bit of snow Minnesota! Oh how I wish I were in the south today. If you have not read Melissa Placzek’s, “Chin Deep in Bubbles or Welcome Home books you must. 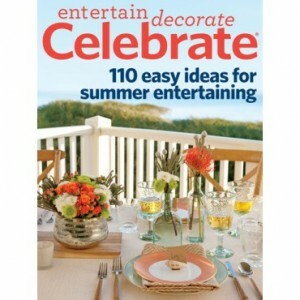 They are a fun read, full of lots of ideas and the illustrations are amazing. Melissa is from a small town just outside the Twin Cities in Minnesota. She posts great recipes as well. I would LOVE to see more of Alexandra Stoddard in your interviews. I own almost every single one of her books. Meeting her would be a dream come true.